To the Members of the Scotch-Irish Society of America . 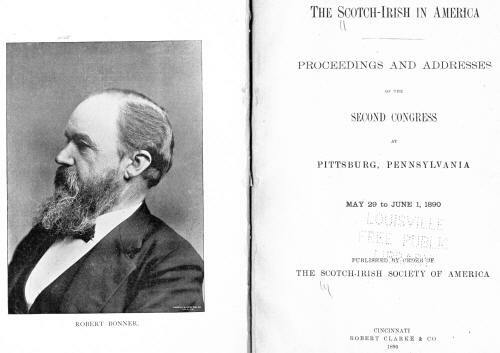 The initial volume in the series of annual publications constituting the Scotch-Irish in America, issued by our Society last year, met with a most gratifying reception from the members of our Society and the general public. Encouraged by its success, this volume has been arranged after the same general plan there pursued. With a largely increased membership in our Society, and with the interest of the reading public more fully aroused, we hope for this publication a wider circulation and a greater success than the first. The Closing Service, including the Sermon of Rev. John Hall. Appendix, containing List of Members.